Mitigate the risks of the digital-driven industrial landscape. Industry 4.0 has effectively transformed the manufacturing industry from an analog domain into a high-tech digital world. While this has undeniably opened up many new opportunities, it has also opened up a Pandora’s box of new business risks. 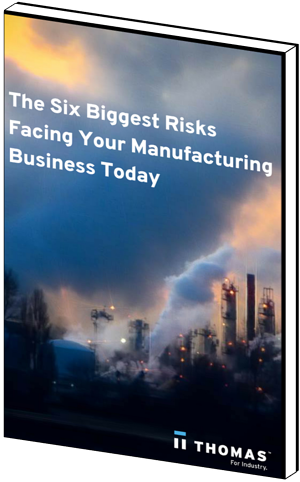 Our eBook, The Six Biggest Risks facing Your Manufacturing Business Today, explores these risks and provides practical tips you can utilize to steer clear.